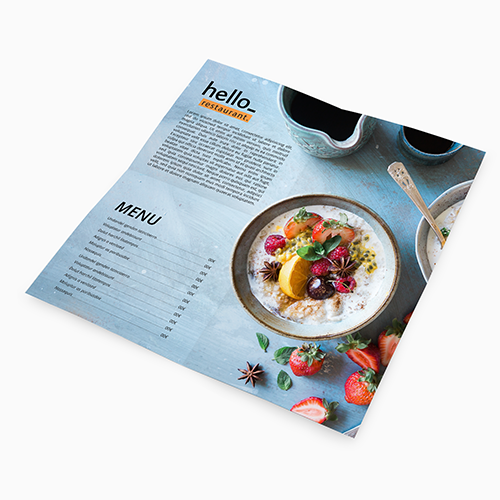 Put your meals front and centre with Helloprint's Cross Fold Menus! 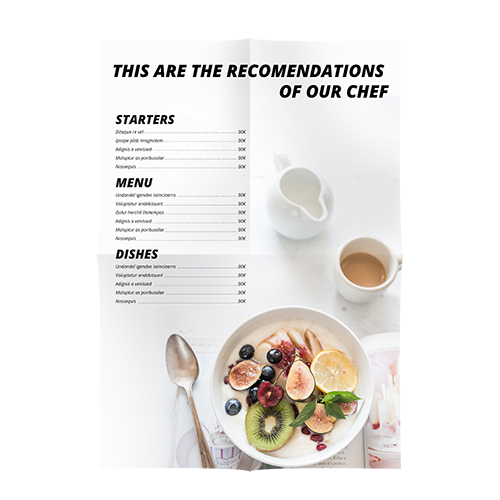 With multiple sizes and luxe finishing options to choose from, use every page to bring your customers closer to tasty main courses that'll have them pleasantly stuffed! Still not sure about your menu size? Have a quick look through our artwork guides for more info. Will my Cross Fold Menus be folded at the delivery? 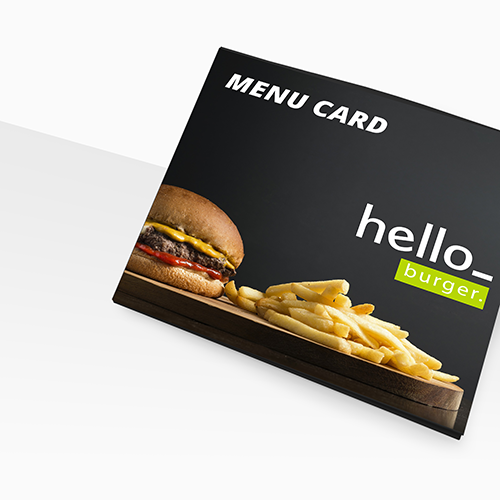 Cross Fold Menus are one of the most ordered and most popular marketing materials from our range. 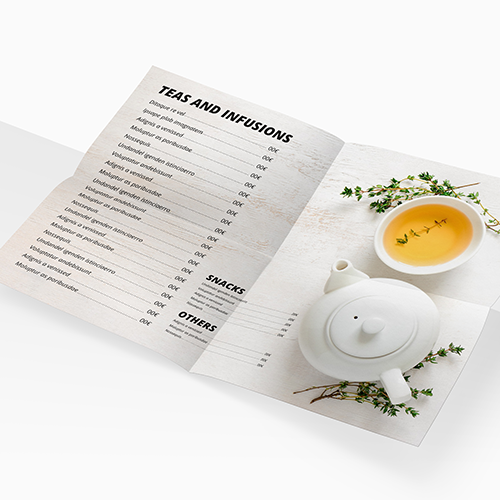 A Cross Fold Menus is a folded sheet of paper that can be printed completely according your needs and wishes. For the delivery of your cross fold menus we use multiple carriers. Because of the highest reliability, in most cases we use UPS or DPD. 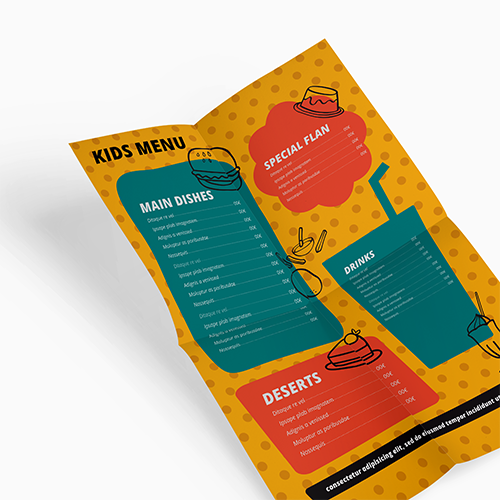 The cross fold menus that is chosen in most cases can be selected via our website. Yes, the Cross Fold Menus will be delivered folded. Cross Fold Menus with a papertype that is heavier then 170gsm, will be creased first before they're folded. This is done so the Cross Fold Menus won't break/become torn during the folding. Will my Cross Fold Menus be printed on both sides? Yes, Cross Fold Menus will be printed on both sides.